The dinosaur phase. *nods* For some kids it lasts a few years, for others a lifetime. 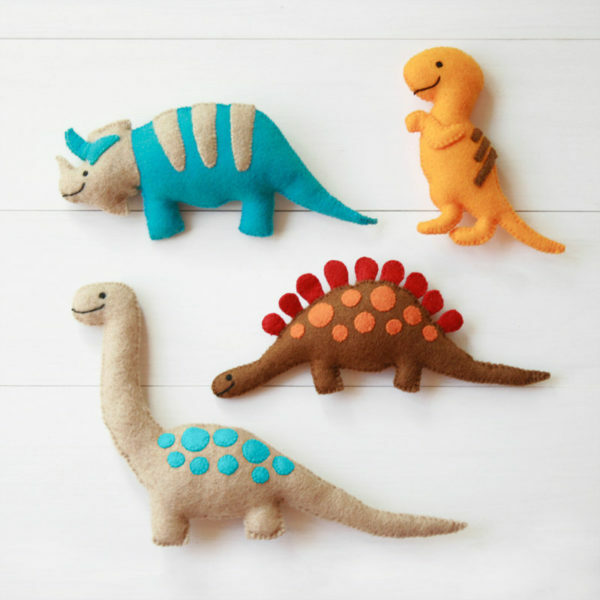 Whatever the story for your palaeontologist-wannabe, there’s a cute play-thing to match. 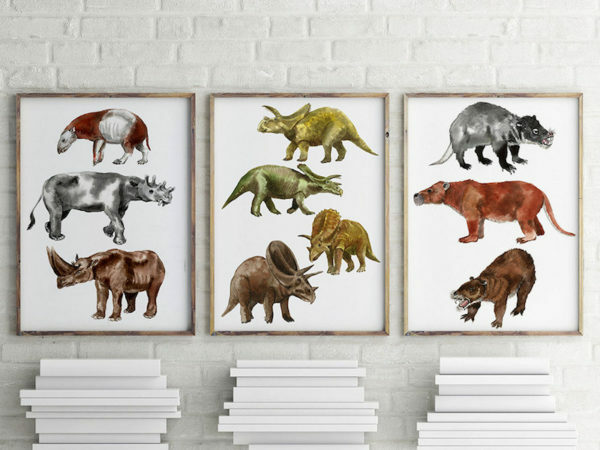 We’ve scouted about, safari-style, and rounded up a few of our very favourite prehistoric themed kid-friendly products. Keep your eye out for tiny dinosaur hands, scary horns, very sharp teeth and heaps of spiky bits! Rawrrr! 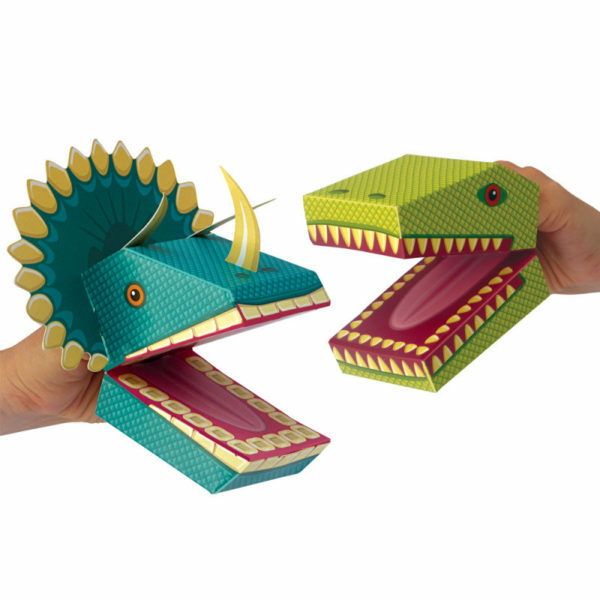 These DIY cardboard puppets are a scary handful, guaranteed to entertain your favourite little dinosaur lover. Grab yours from Hard To Find. 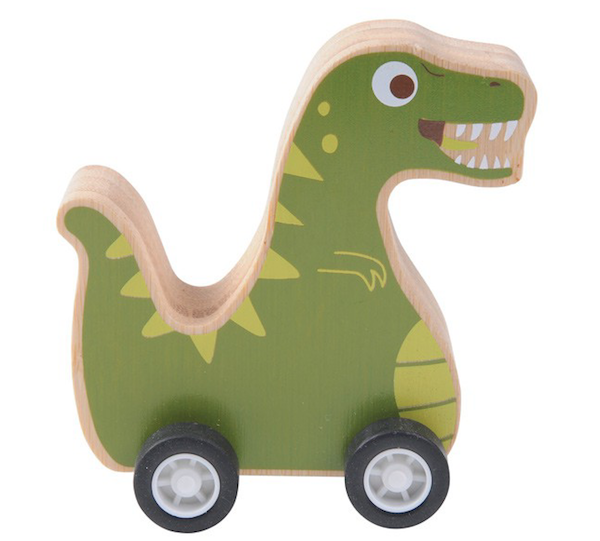 Part fierce-face, part bonkers-grimace, this little guy is all rolling dinosaur delight! Snap one up at Lark Store. 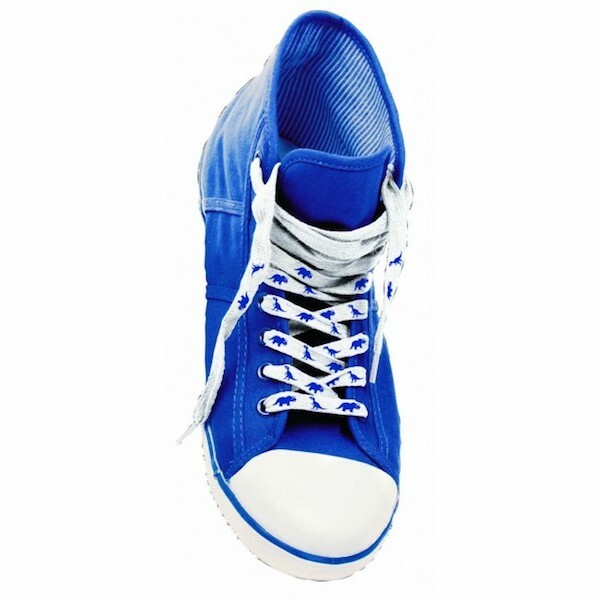 Snazz up your child’s shoes with these rad laces. Not only are they dinosaur dotted, they magically change colour in the sun! Wait, what?! Snaffle a pair via Cool Things. 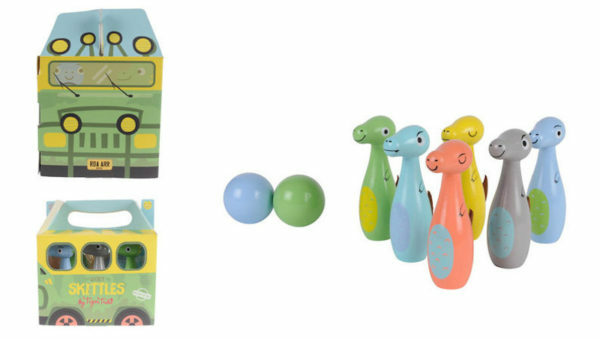 This science-y set is perfect for creative play. 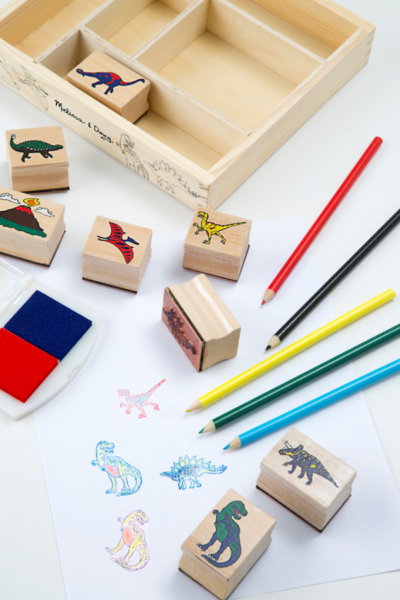 Your kiddo can stamp and colour to their heart’s content, creating artworks, greeting cards, wrapping paper, all of the dinosaur things! Grab yours via The Play Room. 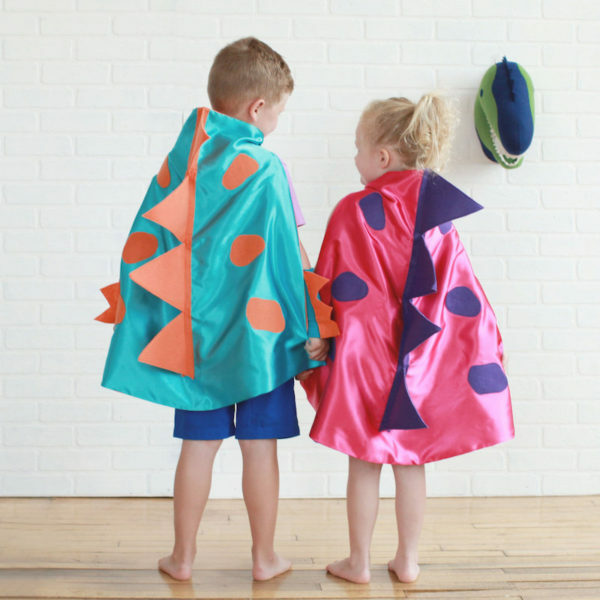 Dress your little dinosaurs in prehistoric style with these amazing imaginative play-encouraging costumes. Find these at Pip and Bean. You can roar bad dreams away with this friendly, toothy dinosaur light. Sleep tight! This lamp is available at Studio Zoethout. 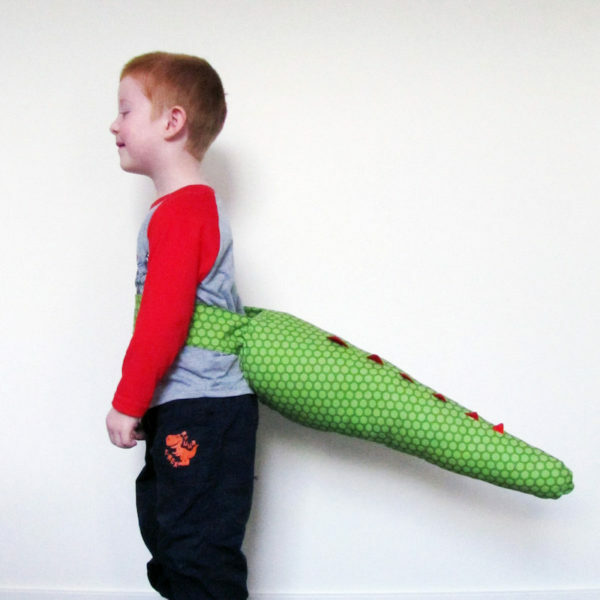 Your little dinosaur lover can totally look the part with this GIANT squishy, spiky tail! Grab one for your favourite kiddo at KBS Designs. These ace prints are an instant download, so you can print them off today! Just add some simple frames and you’re good to go. Download a set of three at Antony Print. Who wouldn’t want to bowl these kooky skittles over?! This dinosaur gang is all set to take a toddler-induced tumble. These skittles are from Urban Baby. 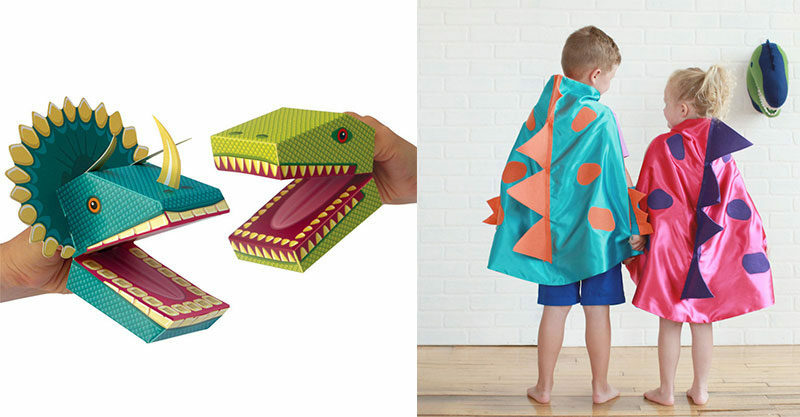 We’re hoping that if you are the lucky parent of a roaring, stomping, screeching dinosaur fan, you’ve found something to perfectly match their prehistoric inclinations! May their science-y leanings lead to bigger and better things!